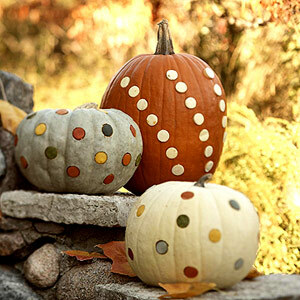 After pinning my pumpkin decorating ideas over the weekend, I realized that I am always “pinning” but rarely following through with what I pin. That’s certainly not the point of Pinterest! So I am determined to go through my pins every couple of weeks and pick out a few things to actually do. This time I’m focusing on recipes. We’re off on an adventure this weekend with Jeremy’s family so this week’s basic meal plan stemmed from the need to clean out the freezer and pantry a bit. (And from the fact that I’m trying to cut down my grocery bills!) But next week’s meal plan will definitely include the following. 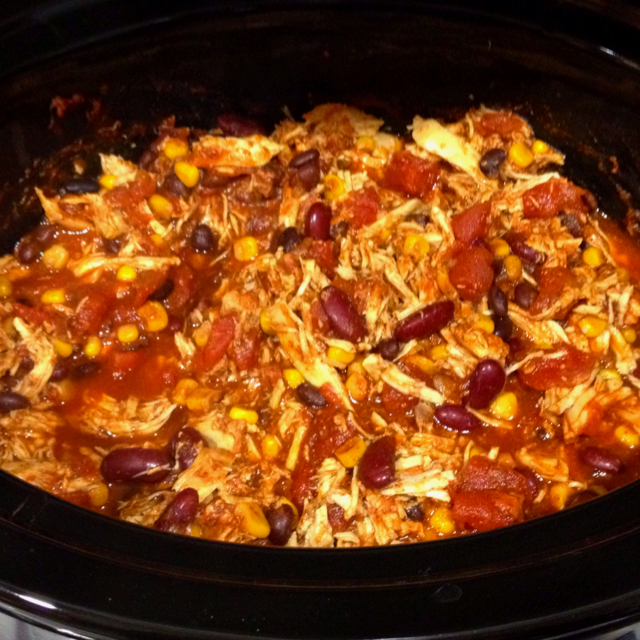 There is no link from this pin, but the comments suggested this: 1 can black beans, 1 can kidney beans, 1 can corn kernels, 16 oz tomato sauce, 28 oz diced tomatoes, packet taco seasoning, 1 tbsp chili powder, 3 boneless chicken breasts. 6 hours high or 10 hours low in the crock pot. Apparently it’s only about 200 calories per serving and makes 8 servings! Sounds perfect for the cool fall weather that is settling in here. 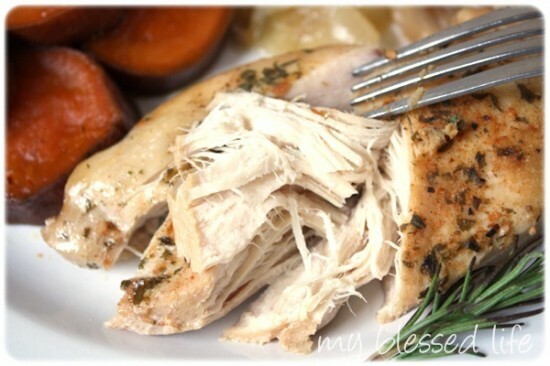 I obviously love a good crock pot meal, and this looks delicious. Add a side of roasted potatoes and asparagus, and I’m one happy camper. And I have one more recipe to try, but this one won’t wait until next week. 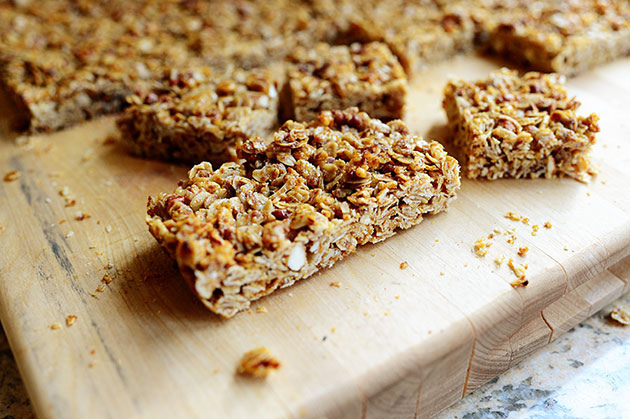 Since our weekend adventure will include some hiking and fall festivals, what better way to nourish ourselves than with some homemade granola bars. And Pioneer Woman has just the recipe. Of course, I’ll be dipping them in chocolate like she does just to make sure the kids will be enticed to try them. The perfect afternoon pick-me-up in the mountains! What have you pinned lately? Have you actually tried some of your pins? I’ll follow up after I’ve tried these three recipes to let you know how it all went. If you don’t already, you can follow me on Pinterest here. Happy First Day of Fall! My favorite season is finally here. And I’m even more excited because I get to experience it in New England! The leaves have not started to turn yet, but we’re getting close. I imagine that in just a few weeks, we’ll be in full fall color mode. Since the leaves aren’t getting us into the fall spirit yet, I figured I would add a little autumn touch myself. I changed out the centerpiece on our dining room table. I have pulled out our fall wreath (just need to figure out how to hang it on the door.) And I have changed up our entryway. Take a look. This hutch is right where we come into the house, and I love coming home to blasts of orange pumpkins and little leaf turkeys. 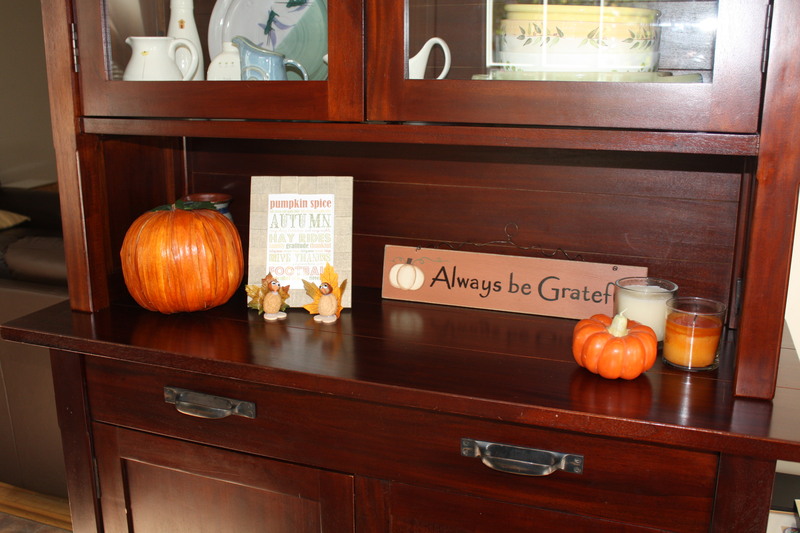 And I love getting to remind all of us to “Always be Grateful” with my little sign. 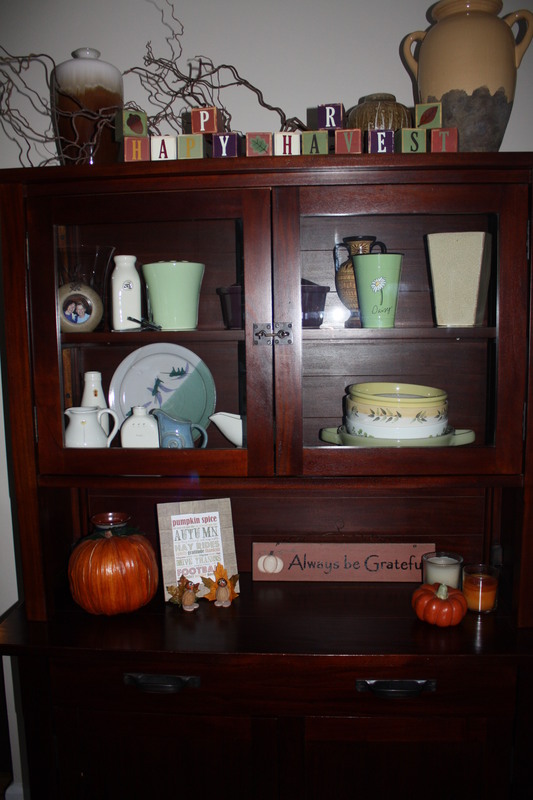 It’s these little touches that really make me think of fall. 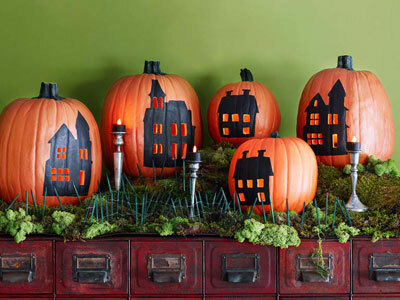 Next weekend, I’m hoping to bring home a few pumpkins with which to decorate our front stoop. I’ve been trolling the web and Pinterest for some alternative ideas for pumpkin decorating. These are my two favorite right now. Now just to implement. I think I’ll need to pull Jeremy onto the design team to get it executed the right way. (He is way more creative and crafty than me most of the time!) Then we’ll be “Going Fall” all over this house! P.S. I got to reward myself with apple crisp! In trying to stay in the healthy spirit, though, I tried the Low Cal Apple Crisp. Sorry, but it’s just not the same. It was decent the first night, but then I just felt like I was forcing myself to eat it so as not to waste it. I eventually threw the rest away. I’m realizing that some things are just worth the extra calories. Apple crisp is one of them. We’re filled up on chocolate chip cookies this weekend and then will be having birthday cake next weekend to celebrate Nana’s birthday. But once we’re through all those sweets, I’ll try another apple crisp recipe. I need to experiment to find just the right one that will become my staple. If you have one you recommend, please post a link or the recipe in the comments. I’d love to add a few more to the taste test! Life has been very different for me since we moved to Rhode Island. I had started to learn how to be a SAHM in Maryland after I left my job back in March. But it didn’t feel real since the kids were still in school for most of it, and the stress of needing a new job certainly hung over my time at home. I at least got to take advantage of getting extra time with my mom, sister and friends. When the news of our impending move came, I was back in a job, but knew it was short-lived. And our final weeks in Maryland were spent creating lasting memories with friends and family and, of course, packing. So when we moved here, I had to get used to staying home with the kids full-time. There was no school to take them to, no friends to schedule playdates with, no family to help out, no job to escape to. It was just me, Mason and Cooper. Jeremy and I had agreed that I would not take a new job until the kids started school, so I really had to settle in to the new role. It was a fun, but trying summer to say the least. 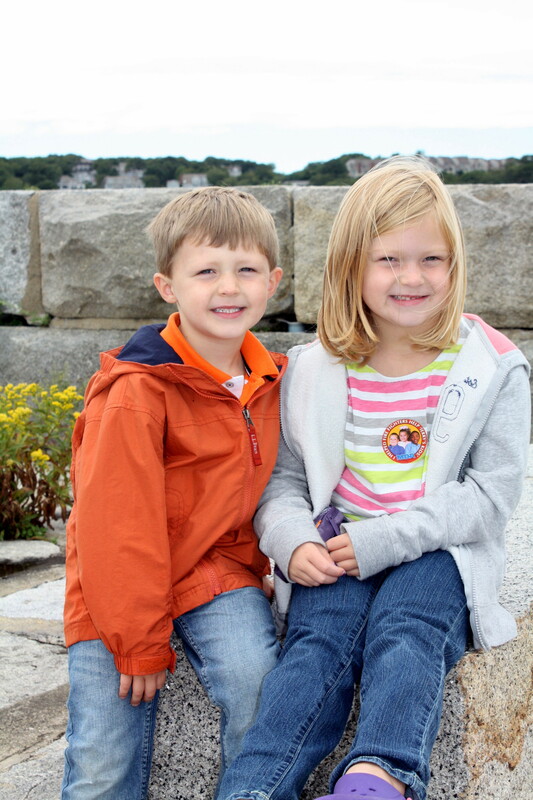 Now the kids are both in school – Mason in 1st grade and at aftercare and Cooper in full day Pre-K. I have them set up so that when I do finally get a job, we’ll be all set with our childcare needs. But without a job yet, what am I doing with myself? I ask that question every day. What can I do to have a purpose today? How can I contribute today? It’s a lonely day without friends to see or family to visit or a job to get done. For that reason, I try to make lists each week of tasks that I want to get done or that should get done. It’s the only way for me to stay on track or else I would just sit in front of the tv all day immobilized by loneliness and uncertainty. 6:00am – Alarm goes off. I hit snooze. 6:10am – Alarm goes off again. Plane flies overhead since we’re in a popular flight path, and I am more than ready to get up. Depending on the day, I either shower right away or throw on some clothes knowing I will work out later that morning. 6:30am – Nudge Jeremy out of bed. 7:45am – Wave goodbye to Jeremy as he drives off on his scooter. 8:00am – Walk Mason to the bus stop. Then Cooper and I hop in the car and head over to his school. 8:30am – Back home, I immediately sit down at the computer to check email, Facebook, Google Reader and Pinterest. 9:45am – After getting sucked into all the above, I realize the time and start the daily job search. I have my usual searches that I do daily, but alternate each week with some other websites like the local colleges and bigger company career websites. As you might expect, I have this all charted – when I search, where I search, if I applied to any jobs, copies of my cover letters, etc. 10:30am – I’m ready for a workout by this time or a task on my list that gets me out of the house or at least moving around. Noon – Lunch either watching something I DVR’d or reading at our table in the backyard. At least once a week I try to get downtown for a lunch date with Jeremy. Gotta take advantage of our “childcare” since we don’t have a regular babysitter yet. 1:00pm – 4:00pm – The afternoon usually is spent doing errands or cleaning the house or watching more TV (Hey, I’m being honest!) or cruising the web or baking. 4:15pm – Leave to pick up the kids. 5:30-8:00pm – Our evening routine is changing this week. We’ve just joined the YMCA and are trying to get there two nights a week. That means the kids eat dinner early, Jeremy gets home, we workout while the kids play in the Family Fun Center, come home, get the kids to bed and then the grown-ups eat. Wednesdays are our video game nights where we eat dinner and then do a variety of video games we can all enjoy. And any other night is usually just a family dinner followed by trying to stay caught up with So You Think You Can Dance or The Voice. 8:30pm – After finally getting silence from upstairs, Jeremy and I settle in for more TV and relaxation. And that’s a day in the life. It might seem a bit boring, and I’m sure there is plenty more I should be taking advantage of or doing to make the best of my time off before I get a job, but this is where I am these days. It’s not glamorous. It’s not perfect. And honestly, it’s not what I would choose. I’m eager to get back to work, to meet people, to bring in more income… I know that having a job will change things at home yet again, and it will be more stressful to still do everything I need to do as a mom and wife while also having a job outside the house, but I’m ready for it. (Just look at the schedule. Is everything between 8:30am and 4:15pm necessary? Obviously now it is because it involves the job search, but other than that…??? Will life really change that much? Maybe. Maybe not. I just hope I have the opportunity to find out soon.) And when a new job does come, I’ll do another “Day In The Life.” It will be interesting to compare, won’t it? I’ve explained my love/hate relationship with running before. Well, I’ve found another reason to love it. Mason ran her first race yesterday. We are super proud of her, and I have a feeling she loved it. The girl didn’t stop smiling! Granted, it was only 100M, but I think that was the perfect introduction for her. I wouldn’t have wanted to start her out with a longer race than she could handle and have her end in tears for being too tired or cramping. With the short distance, she felt it was too short and seems ready for more. Maybe I should back up a bit. I got an email last weekend that Mason’s elementary school was putting together a “team” of kids to run in the CVS Caremark Downtown 5k Youth Races. Registration would be free, and if the school got enough kids to participate, the school would be entered to win a $500 donation to their physical education program. All participating kids would get a t-shirt and a medal. When I mentioned this to Mason, the medal is what sealed the deal. When I have come home from races in the past with a medal, she instantly grabs for it and claims it as her own. Well, now she could actually have her own medal! After signing her up, I told her that we would do some practice runs during the week to get her ready for the 100M. I think the fact that she got dedicated time with Mommy was another incentive. Heck, it was a great incentive for me too! We did about 3 practices during the week. The first time we walked/ran around the block. Mason was cramping a bit, so I told her the key was not to start out sprinting, but to ease herself into it as she felt comfortable. The second time we walked to her school and back with a few intervals of running so she could get a sense of how far 100M was. And finally on Saturday (the day before the race), we went on a 2 mile walk. 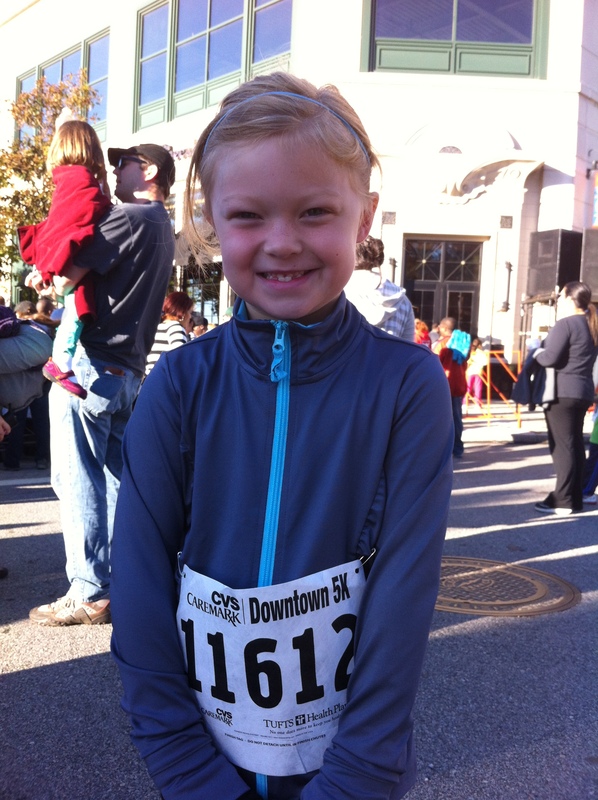 There wasn’t any running, but the walking itself is helping to build up her endurance. She did great each time, never complaining. I am loving it! It truly is special mother/daughter bonding time. We’ve been having a lot of fun chatting along the way. We can walk as fast as we want without having to worry about Jeremy and Cooper slowing us down. We’re enjoying the gorgeous weather together. It’s a win-win. 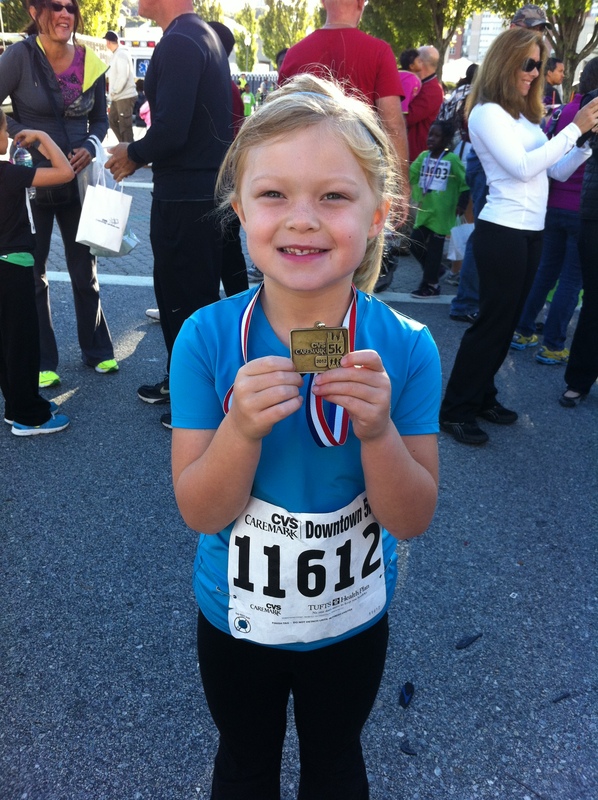 I really hope she is motivated enough to try a few other kids’ races. We found out about a couple of other 1k races coming up, so I’m definitely going to look into them for her. And I might even register for the adult ones too. Then we’ll have double the motivation to get out and train together! As long as she’s having fun with it, I’ll keep riding the ride. We’ve been going, going, going for a while now. Between summer, school starting, entertaining visitors, and traveling, we hadn’t spent much time as just our family in a while. Last week, I was looking at our upcoming calendar and realized that weekends were filling up fast again. But this past weekend was totally free after Saturday morning swim lessons. Since we’ve been wanting to explore the northern shores of Massachusetts, I figured it was the perfect time to do so before we got sucked into the fall craziness. Jeremy is working on a project in Newburyport, so we thought that would be a great starting point. I booked our hotel room and off we went. Unfortunately this past weekend was part of the awful week of disrespect. It definitely muddied the waters a bit. 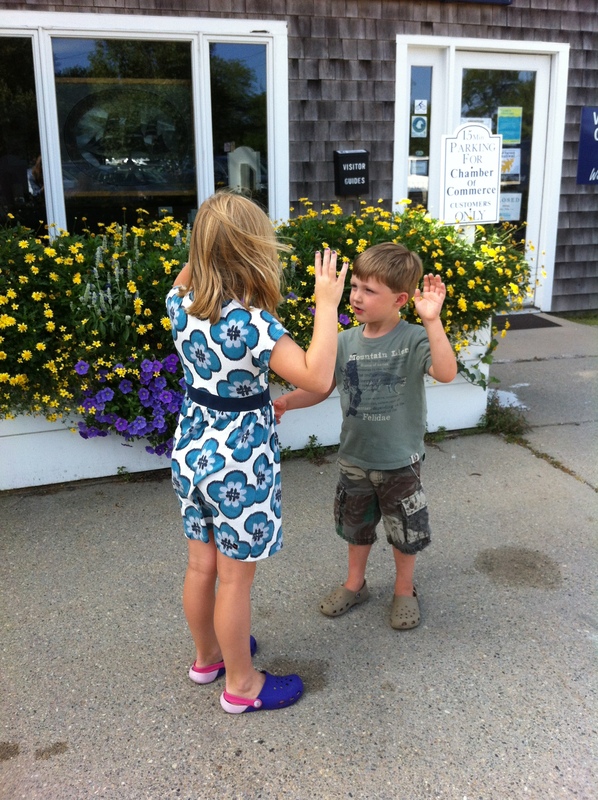 We had a few timeouts on the sidewalks of Newburyport, and Jeremy and I were quite embarrassed at times by the kids’ behavior. But we were determined to make the best of it! There was plenty of shopping to do, bakeries to taste test, playgrounds to climb on and beautiful scenery to photograph. After our first tantrum of the day, Mason had Cooper swear under oath to not whine or hit for the rest of the day. Great at first, but it didn’t last. 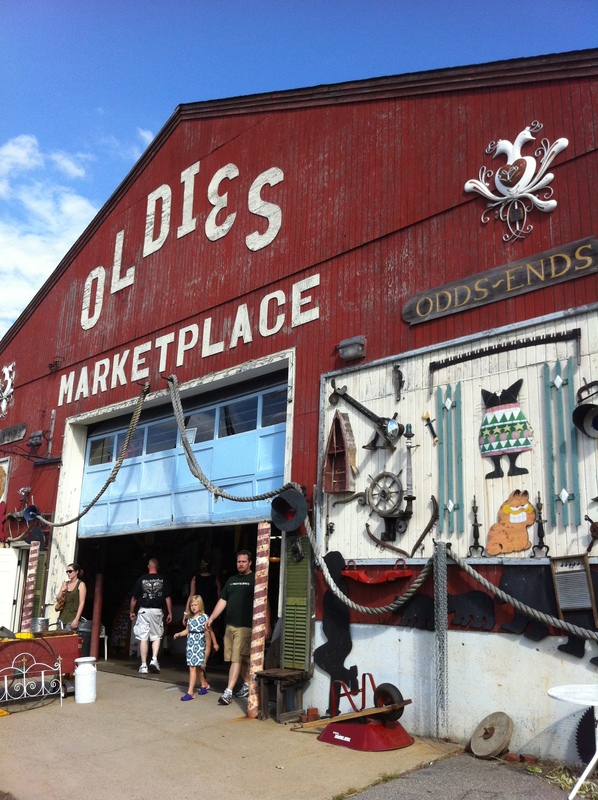 We stumbled upon this antique store in Newburyport, and it was awesome! I can’t believe we walked out with nothing. I would make a trip there just to shop at this place. 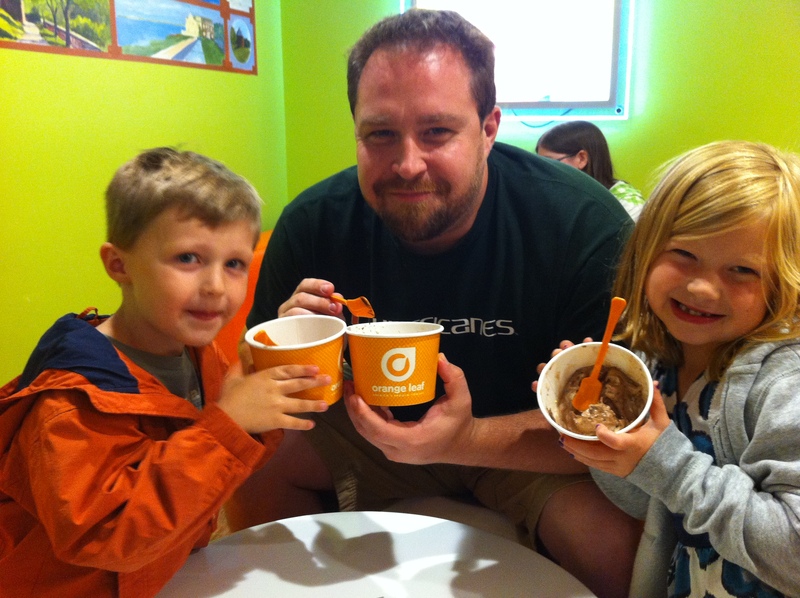 After lots of walking and a delicious dinner, we tried frozen yogurt at Orange Leaf. Yum! They had brownie batter froyo! And to make it even better, we had noticed one getting ready to open close to us in Providence earlier that day. 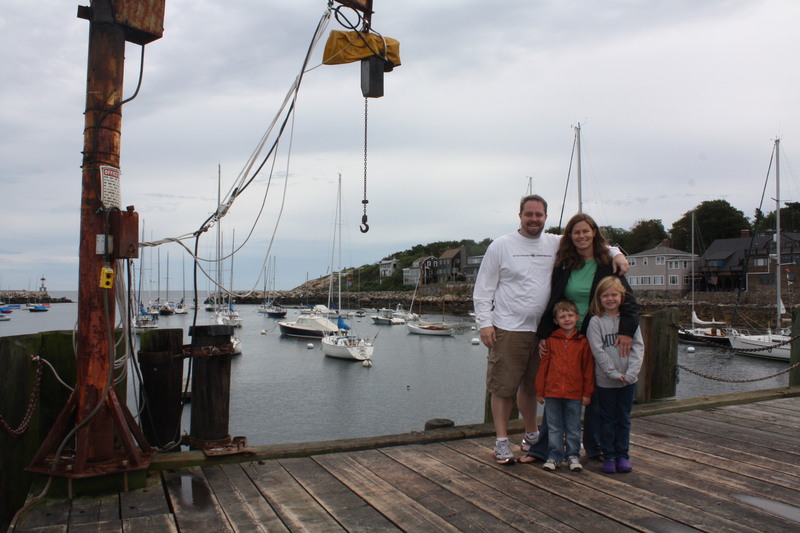 We started Sunday in Rockport after a less than restful night of sleep. 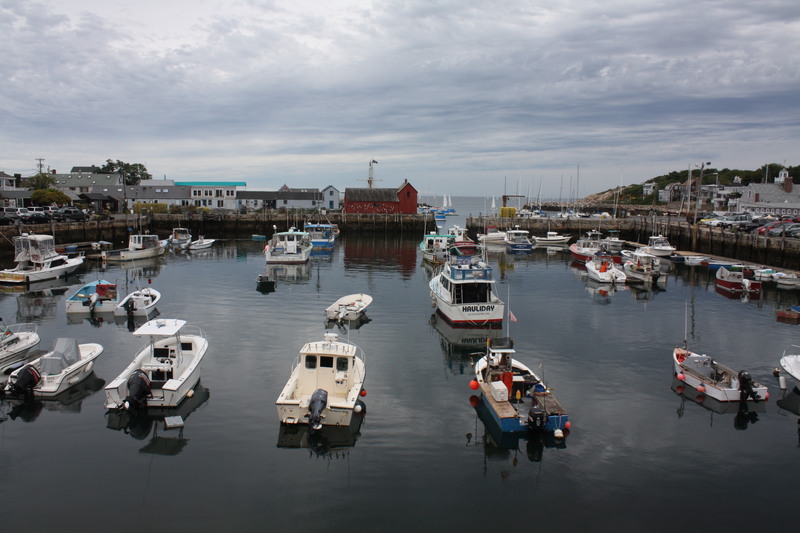 The cloudy morning only added to the charm of this quaint harbor town. Time to zip up and stay warm. I love this picture. Mason and Cooper were both leaned over trying to get their zippers up. I had to capture it. 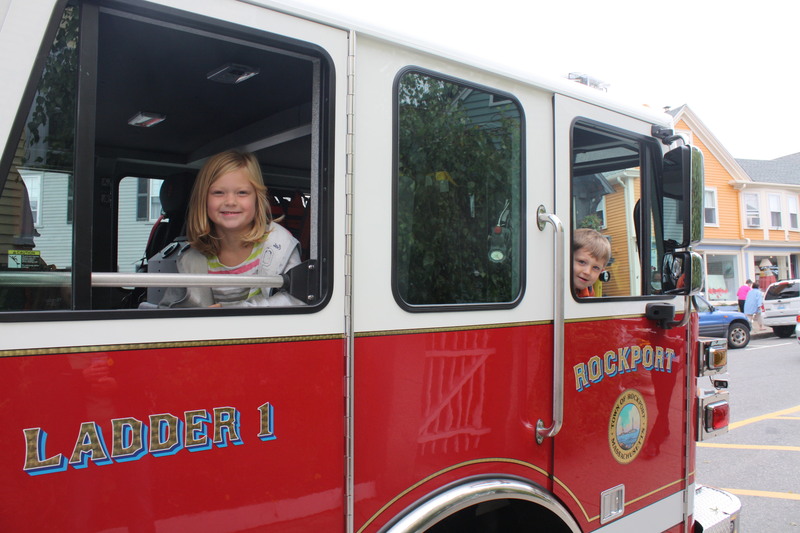 The firemen were out raising money, and they let Mason and Cooper sit in the fire truck for a bit. The kids were elated! Don’t let these smiling faces fool you, though. We had our fair share of painful moments in Rockport. More tantrums and talking back. We just couldn’t seem to keep it together. But all in all, it was a good little trip. And I was glad we took advantage of our free weekend and went exploring. There is still so much more to see in New England, but don’t we already look the part? Respect. I take it seriously. I feel that respecting others will get you respect in return. I believe that without respect, you won’t get very far in life. It’s a big deal to me. So when my kids don’t respect me, their dad or each other, it really bothers me. That’s where I’ve been for the past week. Bothered. Disappointed. Worried. Unsure of my next move. I don’t know if it is because of the move or their new schools or new friends… or is it just their ages? It has sounded like WWIII in our house every single night. 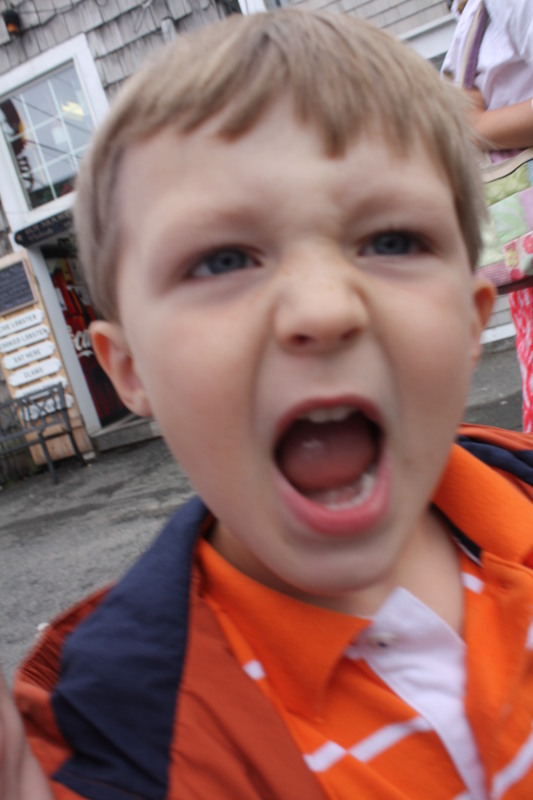 Whether it is a tantrum over not getting to play Star Wars Legos on the Wii or the fact that I have asked them to clean up their toys for the third time, there is yelling. I hate yelling. 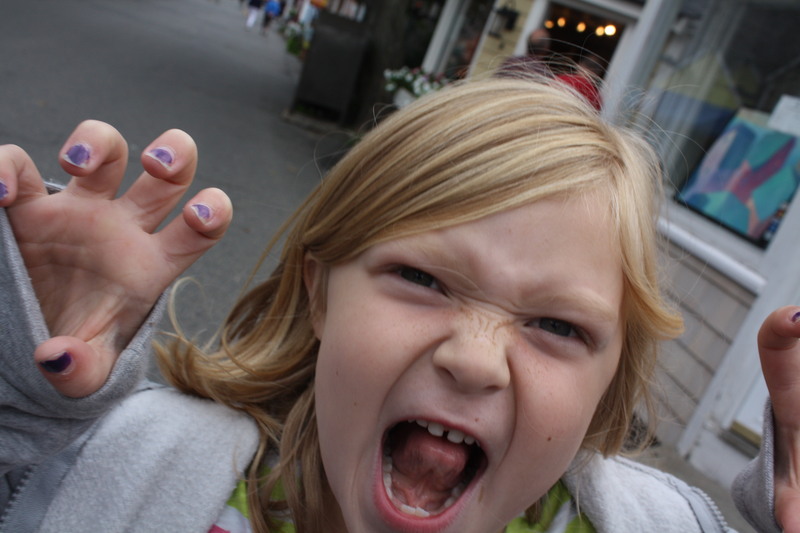 I hate my kids yelling at me, and I hate yelling at my kids. We’re not perfect. And I realize that by yelling at my kids, I’m not respecting them either. So to say it has been a very trying week is an understatement. Honestly, I started this post out of anger. After an incredibly rough night where certain privileges were taken away from the kids for disrespecting me, I sat down at the computer and started writing. The post started the same, but went a different direction. It felt good to get it out, but there was no way I was going to publish it. Now, after some serious conversations with my mom and my kids, I’m in a different place. I’m not angry, but I am still disappointed and worried. As a parent, you want your kids to be the best they can be. For me, it is more about how they treat themselves and others that is the most important. It’s not about being the best soccer player or getting straight A’s (although I would be extremely proud), it’s about being the type of person that others want to be around. And I want that for my kids. I don’t want to be worried about my kids disrespecting others. I don’t want to be disappointed by their actions (although I’m sure there will be some of that no matter what!) I just want to be proud of how they carry themselves and how they treat others. I have a quote hanging in our kitchen that expresses exactly what I want from my kids. Everything in that quote is about respect to me. I want my kids to be reminded of this every single day. I want to remind myself of this as well. I am their role model after all. So we’re turning a new leaf this week. It’s yet another leaf after many before it. (When at first you don’t succeed, try, try again. Or, as parents, try the next strategy.) We’re trying a new strategy of peace. No yelling is allowed. If one of us yells, the others hold us accountable. It’s difficult to not raise my voice when Cooper is throwing yet another tantrum and throwing toys and trying to hit me, but I’m sticking to my guns. I don’t want to go back to the yelling all the time. We’ve been through a lot the past few months. We’ve moved away from our beloved house, our wonderful friends and family, and we’re forging new ground here in Rhode Island. It’s not easy. While we have grown closer over the months, we’ve also grown tired of each other. We need other outlets. We need other friends. That will come, but it will take time. In the meantime, we still need to support each other and love another. We need to ‘take care of each other.’ And that begins with respect. Wish us luck! School has officially started, which, in my mind, means it is fall. No matter that we still have a few weeks before the official start of the season, I consider it fall. I’m ready to pull out our decorations and just go for it. I am especially eager to have a New England fall. I have always dreamed of taking a vacation to Maine or upstate New York during the fall just to see all the amazing and vibrant colors. If I had done that, I guess I would have been considered a “leafer,” but since I’m now a New England resident, I can enjoy the foliage every day! I don’t have to vacation – I can just drive around the state of Rhode Island and enjoy the foliage any time I want. But more important to me than beautiful foliage is apple season. More specifically – apple crisp. It’s synonymous with fall for me. Apple pie is great and all, but apple crisp is my go-to dessert in the fall. 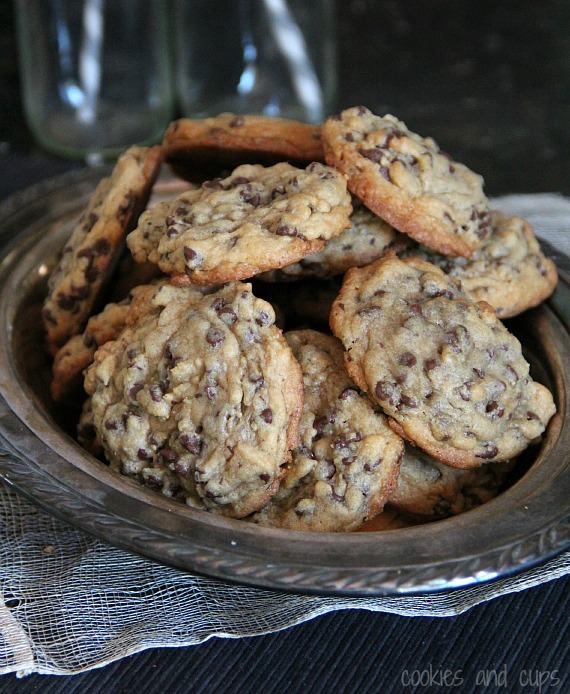 (Well, that and Wookie Cookies!) I love the soft, juicy apples mixed with the crisp outer layer topped with cool vanilla ice cream. Seriously, what can be better? Unfortunately I just committed to losing several pounds and apple crisp is not on the menu right away. I don’t usually like to totally deny myself of my favorite treats when trying to be more healthy (because I’m more about moderation than dieting), but after a summer of lots of ice cream, frozen yogurt, cookies and not enough exercising, I have to start out drastically. And if I had apple crisp in the house, I feel my ability to moderate portions would be hindered. So I’m putting it off. I’m not even allowing Golden Delicious apples in the house. No baking apples allowed! It’s that serious. Side note here…. How do professional bakers stay healthy? I’ve been home without the kids for two days, and all I want to do is bake! I know I can’t, though. It would be way too much right now, and I really am trying to get us all to be a bit healthier after our gluttonous summer. Baking is my hobby, so I want to do it to de-stress and unwind. And I love to make others happy with my baked goods. But if I baked as much as I wanted to, I would be bigger than a house! So how do the professionals do it? I was asking a friend about this today, who suggested it is like his love of wine. He wonders how professionals in the wine business don’t get drunk every day. Same thing. I just don’t get it! Like I said before, I don’t like to completely erase dessert from my life when I’m trying to lose weight, so I’m giving myself a reward. If I can lose 4 pounds in two weeks (a good and reasonable start), then I will make myself (and the family) some apple crisp. In the fall, that reward is worth it to me. So I’m digging in my heels and holding back. I’m cutting out a lot of the bad carbs. I’m eating a lot more fruits and veggies. I think the biggest reduction, though, will come from NOT walking to our local ice cream shop twice a week and NOT baking cookies just because I have more free time with the kids in school. It’s a tough job, but I have to do it. I need to fit in my jeans again! I’ll let you know how I did when the two-week mark hits. In the meantime, I’ll be drooling over the following apple crisp recipes trying to figure out which one I’ll make first.